I have many people ask me about hostas that have fragrant flowers. Well today's hosta not only has a wonderful variegation, it also has highly fragrant flowers come late summer. hosta 'Cathedral Windows' is a tetraploid of hosta 'Stained Glass'. Tetraploids are mutations that either occur naturally or are chemically produced. 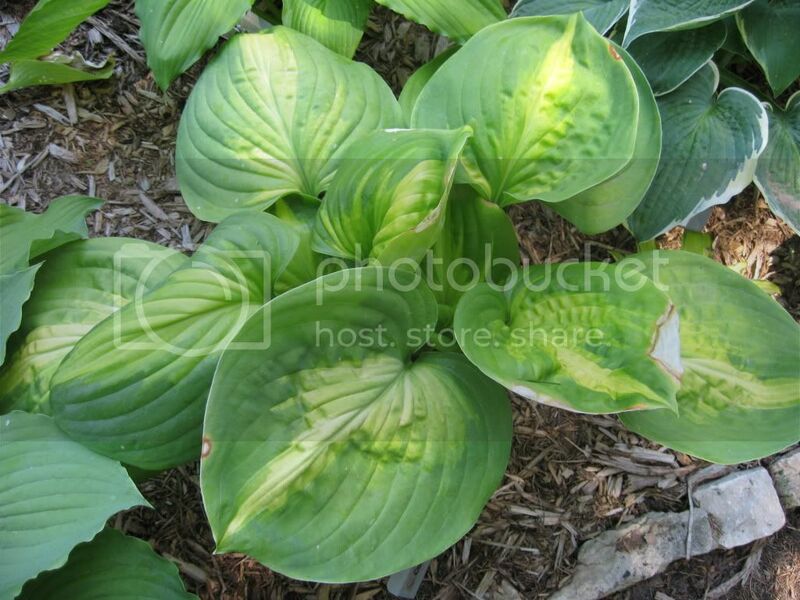 The mutation cause the hostas to have 4 chromosomes instead of the natural 2. Tetraploids usually have stronger colors, variegation, thicker leaves, etc than the plant they mutated from. 'Cathedral Windows' has thick leaves that have dark green margins and golden centers. 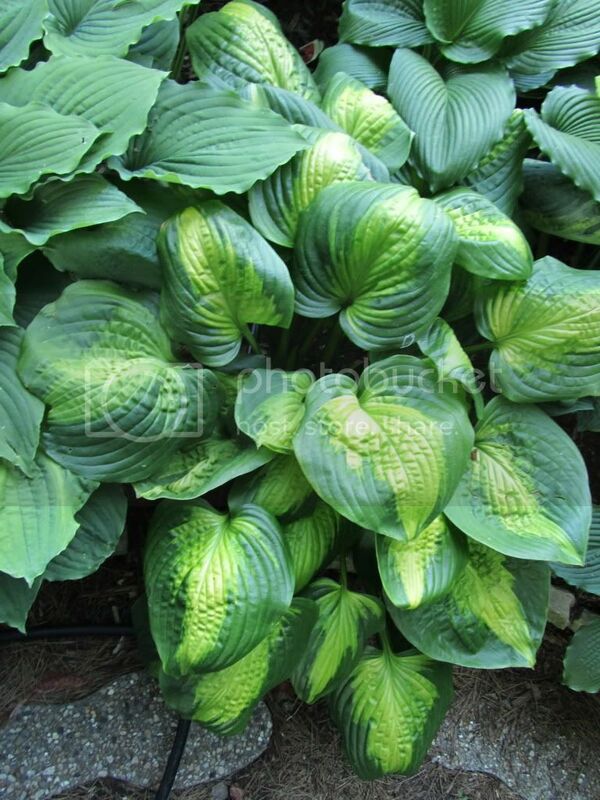 It's a large hosta, but is more compact in the sense that the leaves are more downward cup shaped rather then flat.